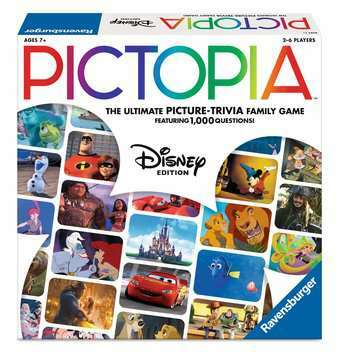 Families team up in this collaborative yet competitive trivia game with 1,000 questions ranging from basic trivia to voting—testing how well you know your fellow players! 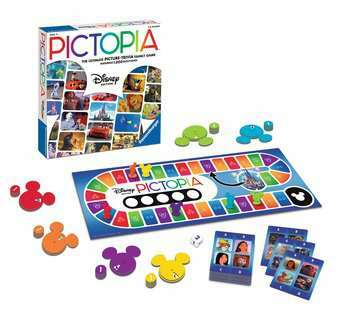 During the game, everyone gets a chance to show off their World of Disney knowledge—from Disney Junior and Disney XD, to Disney Parks and classic Disney films. Players wager based on their knowledge of four images, then work together or alone to answer the question. It’s the perfect answer for together-time fun! Free Pictopia App with bonus content and Lightning Round Finale!